The entrance to the tunnel from the South Bank. 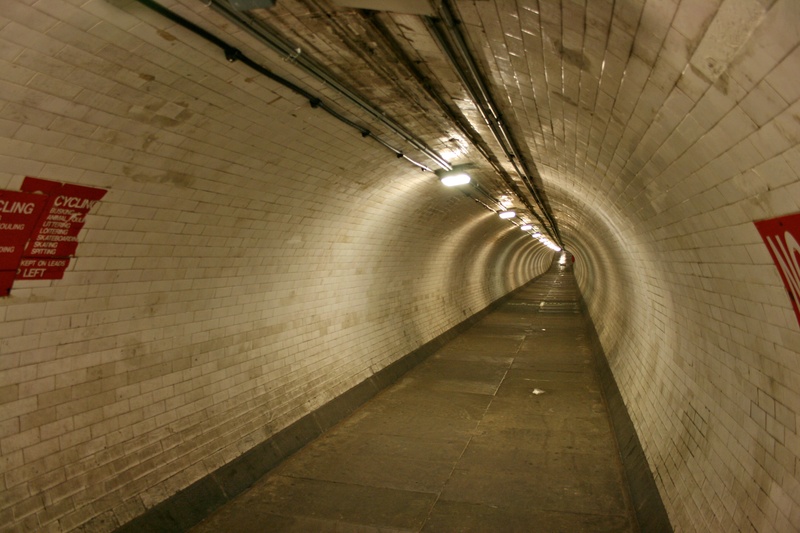 4 August, 1902: The Greenwich foot tunnel opens in London. Inside the Greenwich foot tunnel. This 1,200 foot tunnel connects the North and South banks of the River Thames at Greenwich on the south bank and Isle of Dogs on the north bank. While the opening of the tunnel reduced the work available for London watermen, the tunnel was extremely important for allowing workers to easily cross the river. 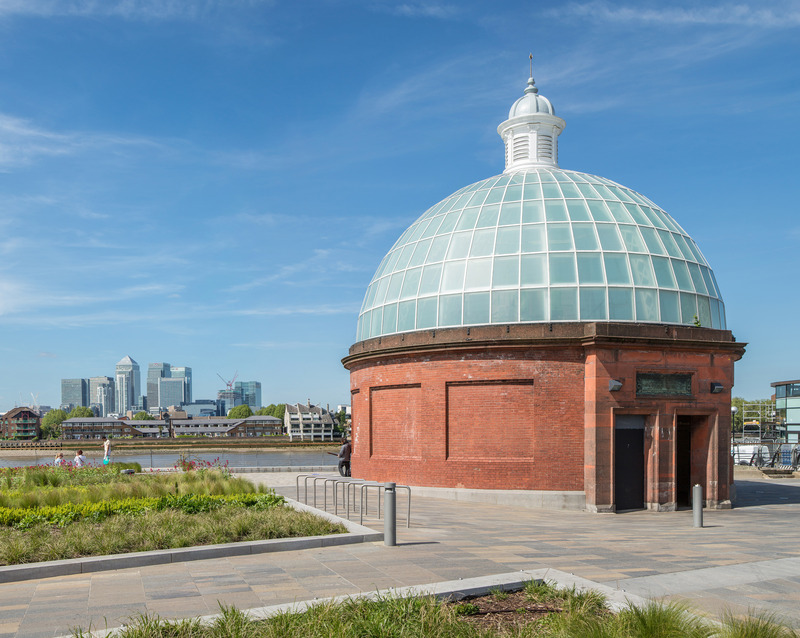 According to the ‘Friends of Greenwich and Woolwich Foot Tunnels’, approximately 1.5 million people use the tunnels each year.